Custody battles can produce an enormous amount of stress for the parties and children involved. Social media and web information has become a factor in many divorce cases, with lawyers taking the online evidence to support their clients. As divorcing people seek to save costs, many are now choosing these do-it-yourself divorce kits or to self-represent in court. The walk down the aisle to matrimony is the happiest time in the lives of most people. On the flipside, the march into the courtroom to end a marriage can be the most stressful time. Divorce is the legal break-up of a marriage. A major life change, it impacts finances, living arrangements, and schedules. Children especially can be deeply affected by divorce. In most jurisdictions, anytime there is a dispute regarding custody, the court appoints a guardian ad litem, who represents only the minor children. Parties usually divide the expense of the guardian ad litem equally. This cost is in addition to the cost of the attorneys representing each of the parties and can be a significant amount. “Stress levels and the costs of divorce can be reduced drastically if the parties can cooperate with each other and act according to the best interest of the children,” Dickey says. Couples also have assets and liabilities that need to be divided equitably. This brings up a big question of who will remain in the marital residence after the divorce. Staying close to family and friends throughout the process can help reduce stress and refrain from making poor decisions. “Generally, courts want to keep the children in the same environment to maintain as much consistency in their lives as possible, so the party to have custody will often remain in the marital home,” Dickey states. Another consideration is the cost of remaining in the marital home and which party can afford to maintain the marital residence. “Sometimes it is best to sell the home and divide the proceeds,” Dickey says. After the parties have made a decision regarding the home, they should also review other assets and liabilities. Equal division is not always what the courts consider fair. The court will divide according to what is deemed equitable, not necessarily equal. The U.S. Census shows that the divorce rate in 2008 was 5.2 persons per 1,000 people, aged 15 to 64 years. This was down from the rates of 6.2 in 2000 and 7.2 in 1990. One reason for the falling divorce rate may be that people were waiting longer to get married and that about a third of men and women ages 25 to 29 have never married. The divorce rate may have dipped in the past few decades, but drama still exists in the courtroom. Now, social media and web information has become a factor in many divorce cases, with lawyers taking the online evidence to support their clients. According to the American Academy of Matrimonial Lawyers (AAML), 81% of its members have used evidence plucked from social networking sites, including Facebook, Twitter, MySpace, YouTube, and LinkedIn, in the past five years. The AAML has a membership of 1,600 matrimonial attorneys throughout the country. Information pulled from the web can be incriminating. Web information is used in court, particularly if it shows that one party is seeking out companionship while still married, according to Dickey. “Emails are frequently used as evidence to show fault in a divorce,” she says. Another trend has been the use of do-it-yourself divorce kits. As divorcing people seek to save costs, many are choosing these kits, or to self-represent, instead of hiring a divorce attorney. Most states have websites that offer information to people on how to file a divorce on their own. People who plan to file for divorce without legal representation — by using an online divorce kit or by purchasing divorce forms — are advised to educate themselves about the divorce laws of their state. Procedures vary by location, so they should also check with their local clerk of court to determine whether these forms will be applicable in their county. 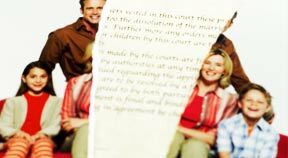 For the do-it-yourself divorce agreement to work, the divorcing couple has to be in agreement on every issue. When in doubt, it is probably best to seek an attorney. Using a lawyer might not mean a better outcome, but an experienced attorney can help alleviate the litigant’s pains of legal paperwork and help them understand the full extent of their rights under the law. Altshuler warns that do-it-yourself kits also might not address all the needs parties must consider in court. “It is impossible for a divorce mill to adapt to each client’s divorce needs during this process,” he says. Divorce is also an emotionally draining process. Moving too fast can often result in poor decisions regarding custody and property division that have long-term effects. Moving slowly can increase the cost of litigation and cause even more resentment in the relationship.